Cosmo Colaneri first appears in the Painesville, Lake County, Ohio, area in 1925. In America Cosmo Colaneri was known as Cosimo Colaneri. 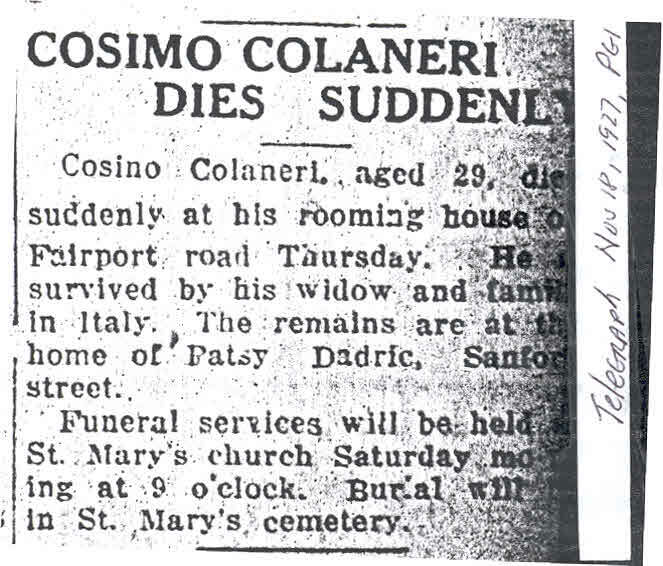 Cosmo Colaneri, son of Fortunato Colaneri and Maria Carmina Palangio, was born October, 6, 1898, at Frosolone, Isernia Province, Molise, Italy. Cosmo died on November 17, 1927, at age 29, at his roomimg house, Fairport Road, Fairport Harbor, Lake County, Ohio, of natural causes. His body was interred at Saint Mary Cemetery at Painesville Township, Lake County, Ohio. 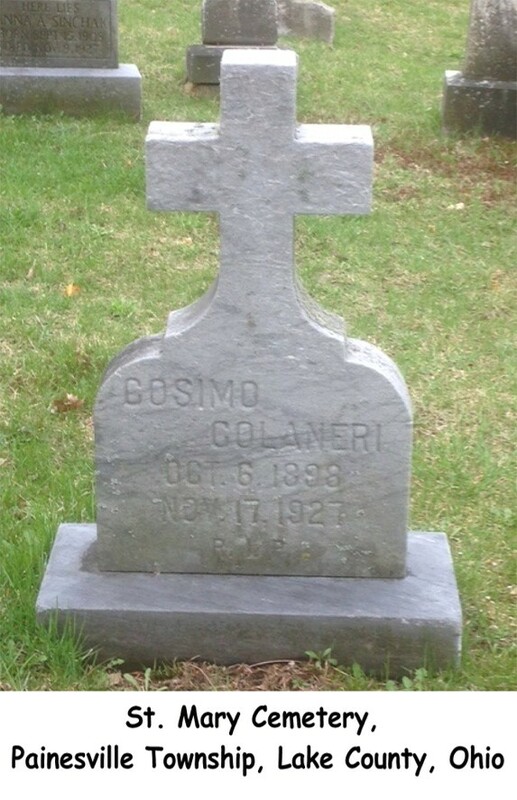 Cosmo Colaneri immigrated to the United States on November 9, 1923, at age 25. He was travelling to Navarre, Stark County, Ohio. Cosmo arrived in the United States at the Port of Boston, Massachusetts, aboard the ship SS Arabic. Cosmo left a wife (Lucia), and family, in Italy.